Publisher (also called an affiliate) is the company specialized in bringing the buyer’s products and services to a wider audience. Common Publishers publish PX form on their web site and bring traffic to it. 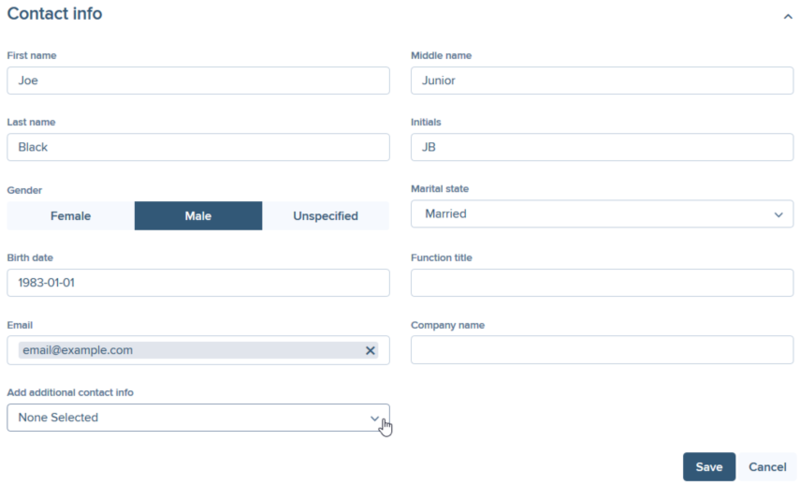 Then the form converts information entered by the end-user into the lead request and sends it to PX. To change settings of the existing publisher, go to Admin -> Publishers, find the desired publisher and click Action -> Edit. Payout Rules - link to payout management of the publisher. 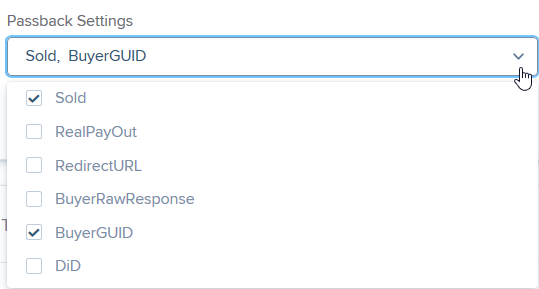 Manage Sub IDs - link to Sub ID management page. To change settings in the desired block, click Edit. The set of fields is divided into General and Advanced settings. 1. Account type – select account type that affects the set of available fields and blocks for configuration. For API publisher settings, follow this article. 2. Publisher ID is a unique ID of the publisher in the PX platform. 3. Traffic type - the type of the publisher depending on how leads are captured (Mobile, Call Center, Search, Email, Premium Display, Path, Contextual, Mobile Premium Display, Offer Wall, Mobile Path, All/Mixed or Undefined). Traffic type allows filtering leads by Traffic Type in campaign’s filter management. 4. Publisher tier – assign the publisher to one of the tiers (Excellent, Very good, Good, Fair, Below average, Poor), source quality categories. 5. Publisher name - the internal name of the publisher that can be edited. This name is not displayed to the publisher. 6. Escore check percentage (20% by default) - set the percentage of leads from this publisher that should be checked by verification services configured in PX (eBureau, Neustar, etc.). Read more about Escore. 7. Fraud check percentage - the percentage of leads from this publisher that should be checked by Forensiq service. 8. Fixed pricing - click Yes to pay a fixed amount for each lead to this publisher. 9. Margin (85% by default) - set margin percentage for this publisher. This option depends on the Access mode selected. Margin field is changed to Publisher's share if Fixed pricing is set to No. 11. Fixed price is the amount of money that you pay to the publisher for each lead when Fixed Pricing option is enabled. This field allows firing pixel for leads only when the amount of the fixed price is reached. For example, if Fixed Pricing is set to Yes, and Fixed Price is set to $20 for a publisher. When the lead is sold, the system checks the current publisher balance. If $20 have been reached, the pixel is sent to the tracking system of the publisher. If no (e.g. if balance was negative)- pixel will be sent as soon as Fixed Price amount is reached. 12. Add upsell to balance - click Yes to add the revenue received for upsell leads to the publisher’s balance. In this case, the amount of (Upsell revenue*Margin %) will be added to the publisher balance calculation. Upsell leads are leads captured when an Internet user, after submitting one form, clicks on another offer on the end page. All forms, which are submitted after the first one, become upsell leads and usually are added PX revenue. However, if Add Upsell to Balance is set to Yes, it improves publisher performance since the pixels are sent more often and publisher revenue increases. 13. Status - assign one of the statuses to the publisher (New, Prepublished, Published, Blocked, Expired, Deleted, Initial, Follow Up, Overruled, Purged). 14. Modify date – the date when publisher settings were edited. 1. Description – basic description of the publisher. Publisher Total - balancing on the publisher level as a whole. Publisher Sub and Campaign (for large publishers that are active in multiple verticals, for each Lead Campaign (survey). 3. Start balance – enter the start balance amount for this publisher in order to give him a head start in the beginning (according to agreements with the publisher). 4. Max negative balance allows specifying the maximum negative balance acceptable for this publisher in order to avoid losing more money than indicated. Standard mode - margin is the percentage of the payout for each lead received from buyers, for which you wish to send a tracking pixel to the publisher (e.g. 75% means that 75% of the payout is pixeled to the publisher). Lead Submit mode - margin is the percentage of leads submitted by PX, which you wish to pixel to the publisher (e.g. 75% means that pixels are sent in 75% cases when the publisher’s leads are submitted by PX). Sold Lead mode - margin is the percentage of leads sold to buyers, which you wish to pixel to the publisher (e.g. 75% means that pixels are sent in 75% cases when the publisher’s leads are sold to buyers). 6. Quality score - enter the quality score floor for this publisher. User management section allows to view, edit or delete user accounts for this publisher. Follow How to Create a Publisher User Account article for more details. Pixel is a tracking method that allows publishers to invisibly check that a user has accessed some content. Creating an offer pixel allows the publisher to track conversions in real time in their own tracking system. For this purpose, they provide you with their conversion pixel/URL with which you can notify them of conversions. Pixel ID - the unique ID of the pixel in PX platform. Offer name - the name of the offer specified during offer creation. Type - pixel tracking type (URL, code, image). Status - status of the pixel (active, paused, rejected, deleted). Click Action -> Test to go to offer pixel settings and test this pixel. Click Action -> Delete to remove this pixel and Yes to confirm your action. Click Action -> Preview to view the pixel code. 1. Offer ID - select the offer, for which you wish to create a pixel. Image Pixel - for HTTP or HTTPS image pixel-based tracking. Postback URL - for Server Postback tracking with Transaction ID or Affiliate ID. Make sure that Postback URL provided by publisher contains the mandatory aff_sub2 parameter. Type of tracking is configured in Conversion tracking field in advanced settings of the offer. 3. Code - paste here the code received from the publisher. Pixels can be also managed on Offer Pixels page. Offer payouts section allows you to manage custom payouts for common publishers by setting specific payout, revenue, and caps based on traffic volume, conversion quality, or working relationship with this publisher. 1. Offer ID - select the offer, for which you want to set custom payout rules and caps. Fields that are grayed out show default payout and revenue set in advanced settings of the offer. Payout, revenue, and caps configured per publisher have a higher priority than default values in offer settings. 2. 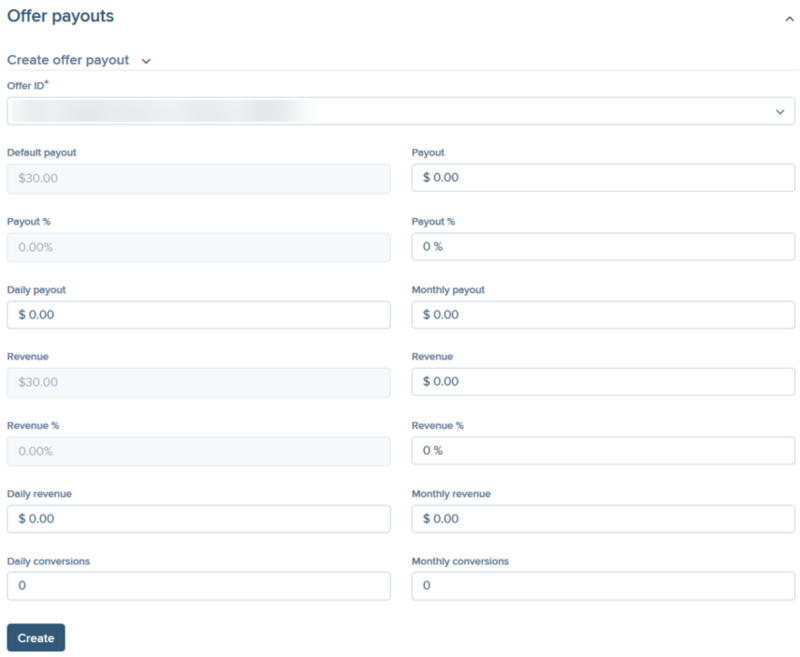 Default payout (grayed out) - payout set for CPA, CPC, or CPM payout type. 3. Payout - set a new payout for CPA, CPC, or CPM payout type. 4. Payout % (grayed out) - payout set for Cost per Sale (CPS) payout type. 5. Payout % - set a new payout for Cost per Sale (CPS) payout type. 6. Daily payout - set the maximum payout that offer can post per day. 7. Monthly payout - set the maximum payout that offer can post per month. 8. Revenue (grayed out) - revenue set for CPA, CPC, or CPM revenue type. 9. Revenue - set a new revenue for CPA, CPC, or CPM revenue type. 10. Revenue % (grayed out) - revenue set when Cost per Sale (CPS) payout type. 11. Revenue % - set a new revenue for Cost per Sale (CPS) payout type. 12. Daily revenue - set the maximum revenue that offer can generate per day. 13. Monthly revenue - set the maximum revenue that offer can generate per month. 14. Daily conversions - set the maximum number of conversions offer can receive per day. 15. Monthly conversions - set the maximum number of conversions offer can receive per month. When any of offer's capacities is reached, traffic for that offer is redirected to another offer specified in general info of this offer. Click Save to save your changes. A new offer payout for this publisher will appear in the spreadsheet below. Click Delete to remove the offer payout. Search by offer name or ID to find the offer you need. Requested - the publisher has applied for this offer and this request should be processed. Blocked - the publisher's request to the offer was blocked and they can't apply for this offer again. N/A - the request approval was revoked or this publisher didn't apply for this offer. Approve - allow the publisher to access details of this private offer. Reject - cancel the publisher's request. Block - block publisher's request so that they won't be able to access this offer and tracking link won't work. Calls section allows assigning DID numbers to the publisher. Click Assign Phone Number to add a new number for this publisher. Only one number can be set per each vertical. 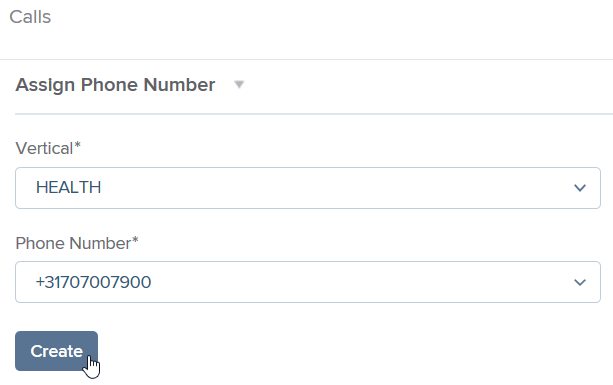 If you assign a new phone number to the vertical that already exists in the list below, the previous number will be automatically replaced by the new one for that vertical. Assigning a new number to the publisher can take up to 15 minutes to update. Calls are a relatively new feature in PX. If you click Assign Phone Number and see No free phone numbers available, contact our support department so that we reserve more numbers for you.